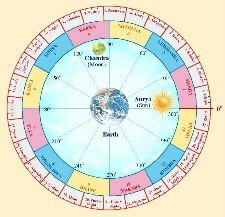 Spread from 20: degree Mithun up to 3:20 Karkata. Presiding deity Aditi, the Lord is Budha and Chandra. Symbol-Quiver (receptacle for arrows). The word Punarvasu is derived from Puna+ Vasu, which means return, renewal, restoration or repetition. Almost 90% is correct with my case. Amazing-it looks 100% correct. Very helpful. Thanks. it's unbelievable that your facts given above are almost 100% right which reflect mine. really unbelievable how it comes such correct!! !